Opencart is a fast growing and well-known eCommerce platform. Launched in 1998 by Christopher G. Mann for Walnut Creek CDROM, it is perfect match for starting small or medium size e-business. The platform has all ever needed features and is highly recommended for small size ecommerce businesses. But even the best things have better surrogates. Let’s outline potential capabilities of other shopping carts, and describe the strongest OpenCart alternatives for running successful and profitable online business. The platform has user-friendly and straightforward interface. With its Admin Dashboard all important information available at a glimpse. 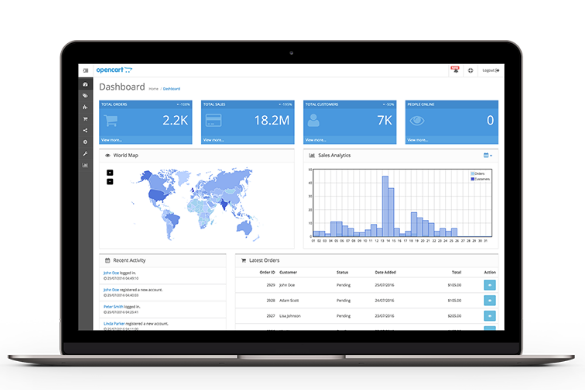 You can easily get a complete analysis of total orders, customers, sales, people online, sales analytics and even more. Even if you don’t understand anything, you’ll find a solution very quickly. Is OpenCart free? Yes, it’s open-source e-solution, and the only payment you’d have to face is development cost which is comparatively less than in other ecommerce systems. And of course with coding knowledge, you may do all on your own. OpenCart is written in Php language, so customization here is just a pleasure. Unlimited templates’ range gives you an opportunity to select the best one and make your e-store the most beautiful and attractive among other conquerors. 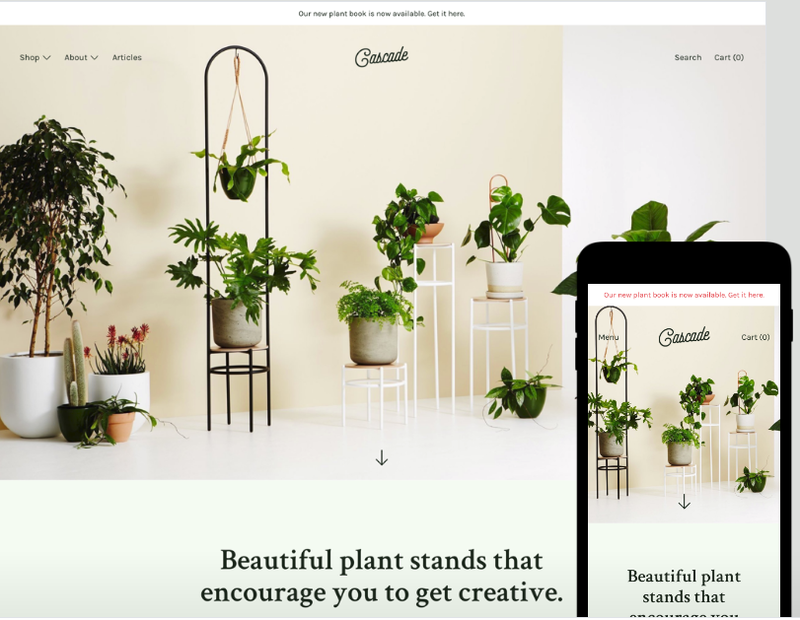 OpenCart offers both free and paid responsive themes. Check and select one you like the most. If you use OpenCart for online store, you know that you’re the only boss. It is also very flexible online selling platform. You may easily handle all staff related to your shoppers. If there’s need to show some website functionality to user, you’ll do it immediately. 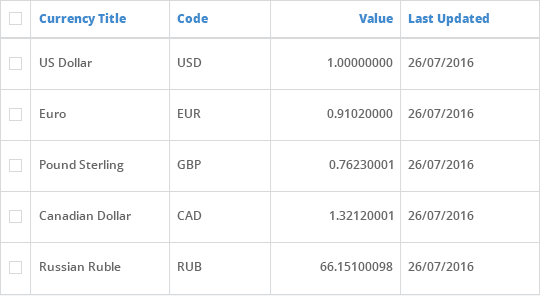 What can be better in online trading than selling in any currency and anywhere on the Earth? With automatic rates updates and the opportunity to set up different taxes, OpenCart turns the whole process into simple few steps entertainment. More than 40 languages available and this number is steadily rising! It’s easy to use Chinese, Japanese, Greek, or even right-to-left languages like Arabic or Hebrew. More detailed OpenCart’s benefits’ list you can find here. But there no limits on the way to perfection, especially when it comes to choosing shopping cart. OpenCart is good but definitely not the best e-commerce solution. Its customers often complain about lack of event support - they cannot do any changes by performing the coding. SEO friendliness is also a weak side of the platform. Rapid issues with the search engine are familiar to every OpenCart user. It’s a good place to open own website but when it comes to product increasing there occur many difficulties. Here’s too slow support for large-scale websites. Yes, there are much more advantages, and OpenCart migration is prevalent among users. You have big chances to succeed in e-commerce with this platform. In any case, the number of strong competitors with even more marvelous opportunities must be considered. OpenCart Alternatives - Where to Find Something Better? Shopify is a complete cloud-based e-commerce solution for creating and managing a profitable online business. This platform lets you quickly and easily start trading online and compete with top-leading e-commerce merchants. Shopify is the most popular e-solution in Top 100k sites in Hosted Solution category. This makes it one of the strongest competitors among other available e-platforms. The following set of features proves platform’s robustness and reliability. The reasons for migration to Shopify are valuable enough to start considering the OpenCart to Shopify switching. This means you haven’t to worry about any technical things like software development, upgrading or maintaining web services. It provides you with the opportunity to access and manage your e-store from anywhere only with an Internet connection. With Shopify, you’ll get the first-class support and assistance. 24/7 service is a limit of all customers’ dreams. Everybody knows: it doesn’t matter how good is your product - it worth nothing without proper marketing. Here you’ll get strong marketing features, easy to use reports, and ability to run own payment gateway. This includes web, mobile, social media, online marketplaces, brick-and-mortar locations or pop-up shops. One of the most valuable shopping carts’ features is Free Trial version availability. It attracts many customers because the opportunity to try the service in advance is the best chance to get a proper understanding of what you’re supposed to achieve. Shopify offers 3 main pricing packages for its customers. Each - with separate set of features. Shopify team have also developed the additional Shopify Lite pricing plan to sell basically on social media. But you can also do it in person, or on an existing website. You’re welcome to explore beautiful and professional range of free and paid themes to find the right one and make your store blossom. Here’s the most suitable opportunity to find inspiration, discover styles, and built a unique brand. 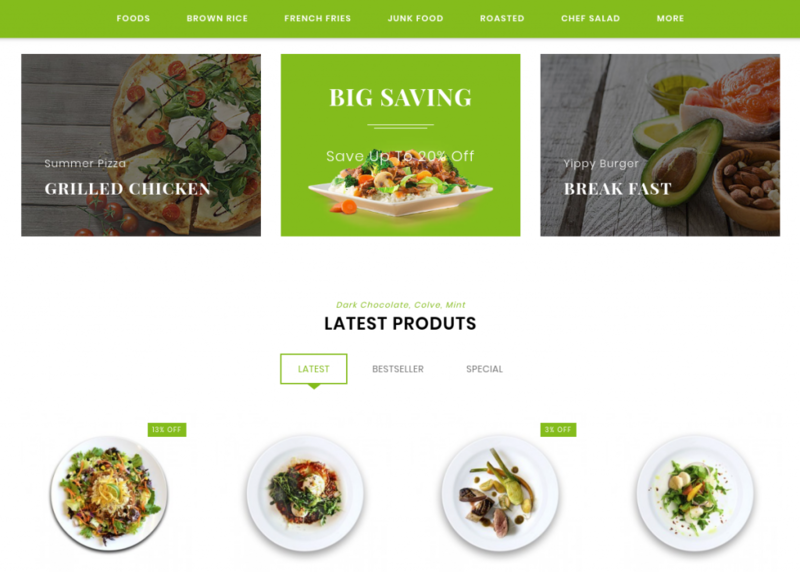 The more detailed information on Shopify responsive themes you’ll find in Themes Store. 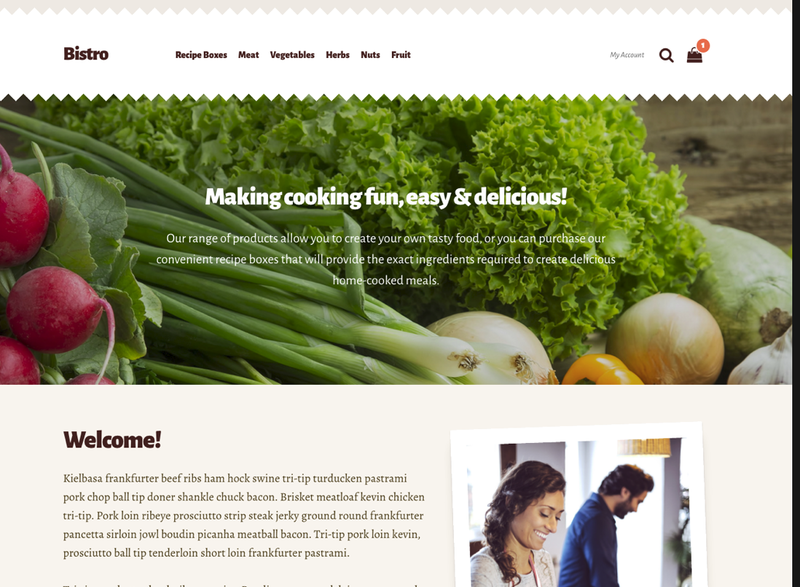 WooCommerce is an open-source WordPress based e-commerce solution. It is worldwide famous fully customizable e-platform that powers over 28% of all online stores. Let’s consider the main WooCommerce benefits among other shopping carts to make it clear why this e-platform is worth migrating to. This means the sky is the limit. You can create online store and make it look as unique as possible. Edit any part of your site – from homepage layout to the buy button – to stand out from the crowd. You have complete control and can add unlimited products, users or take unlimited orders. No standards, no restrictions. Only your imagination and coding skills=) Don’t wait for a miracle - make it by yourself! What can give you a bigger satisfaction than a “free” word? Yes, WooCommerce doesn’t require any payments, and this is a winning solution for those who are on the low budget, but whose ambitions are big. But be careful and don’t equal this two statements “free shopping cart” and “running an online store for free.” Creating the profitable e-shop means hard work and spending costs is a part of this whole process. More details in WooCommerce Pricing: How Much Does it Cost to Run a Store? Besides all items from the Storefront that was built and maintained by WooCommerce core developers, you can select any template from WordPress collection. Sounds incredible, right? Say goodbye to all difficulties with appropriate design’s choosing because here you have no chance to fail in selection that one that will fit your store the best. The option allows to announce great content and declare your brand as a strong one. With WooCommerce it is easy to integrate eCommerce with the world's most popular content publishing platform and benefit from it. It doesn’t matter what to sell - physical or digital products or even both of them. Everything is accessible. Shipping options and rates will provide the customers with benefits of pickup, shipping or even a local delivery. You can set a flat or define specific rates or calculate and show the right rates at checkout for variations of products. Prevailing thought “Good quality can’t be free” doesn’t work here. Detailed order tracking, customer engagement tools which allow store owners to manage past and open customers orders, update delivery statuses or apply discounts make WooCommerce one of the leading powerful e-commerce platforms. Don’t forget about tax settings, inventory management, shipping options, coupon codes and many else out of the box features which can turn your online trading into the simplest and smoothest process. Successful business is one that strong enough to develop and rise. This platform is ready for different types of extensions. With various APIs for building extensions, extensive documentation library your users will have the chance to discover how WooCommerce works, both inside and out. No doubts left? Migrate to this robust e-solution and let your business meet the real prosperity. Magento is an open-source CMS created for store owners as an opportunity to expand their business operations in the e-commerce market. It is famous for its flexible, powerful and easy to customize system that’s why it is 5th most popular in the Top 1 Million sites in Open Source category. Currently, there are two Magento versions - Magento Community and Magento Enterprise. Both of them are often used but aimed at different store-owners’ categories. The Community variant is free and generally used by small businesses. Magento Enterprise is paid e-commerce solution, and this is the best option for medium and large businesses. If you’re ready to perform OpenCart to Magento migration right now, click here or dive into more details if you’re still not sure that it’s right choice for you. Your business is becoming bigger, and you’re tired of switching from one platform to another hoping to find the one that can support a large products number? It’s time to exhale with relief. Magento is ready to support up to 500,000 products on one site, and handle more than 80,000 orders per hour. Are you a smartphone, tablet or another mobile device owner - it doesn’t matter. Magento works perfectly on all these gadgets. Forget about dependence and feel free with the convenience of running the e-store from any location. All that you need is Internet connection. Magento was planned as the platform for the fastest e-stores in the world. Now it is even better. With the lower HTTP requests than any other eCommerce platform, Magento is a real-time and efforts saver. This means hosting two and more websites on just 1 back-end admin. Pretty handy, right? This is the main feature that Magento is most famous for, and this makes it the eCommerce CMS platform. Magento doesn’t obligate you to use one hosting that can be provided. You’re free to choose another one that fits your preferences and demands. This sounds unbelievable, but Magento support ALL currencies around the world. 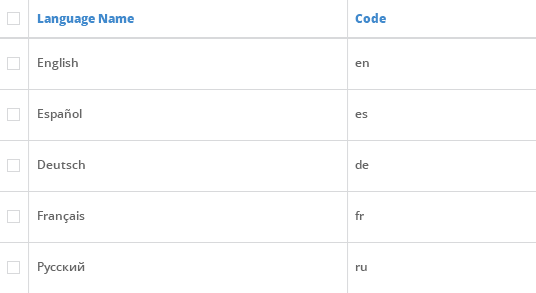 The different languages function is also available to allow e-businessmen to expand the store and make it international. Increase the area for custom integrations via major web applications and payment gateways and sleep tight. This considered as the most beneficial Magento feature that make the platform one of the most reliable choice among other competitors. So, what kind of solution do you like the most? 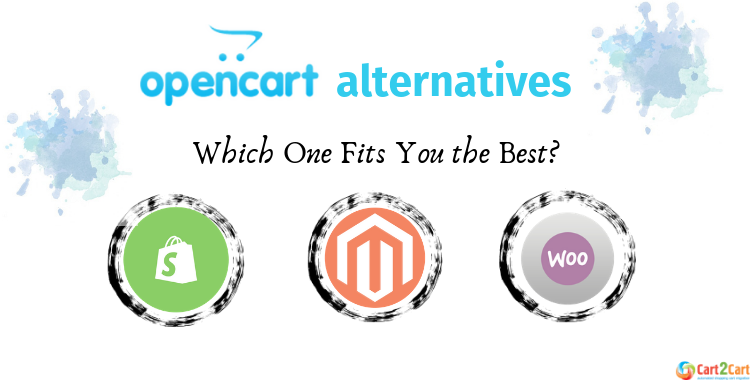 Stay with the OpenCart or glance over the horizon and try one of the best OpenCart alternatives is only YOUR decision. In the OpenCart vs Magento vs WooCommerce vs Shopify battle, the winner is individual for every online businessmen. Weight all pros and cons and declare the final verdict. In any way, Cart2Cart migration service is always ready to help and support you in the OpenCart export process. We’ll provide the smoothest data migration you’ve ever seen. Benefit from effortless 3-step migration, the widest range of transferable entities, fantastic migration speed, 24/7 support and assistance, 100% current store uptime and the main advantage - Free Demo Migration. Don’t waste your time! The above-listed e-commerce solutions can be of valuable consideration when you're looking for a new incredible store performance and profitable eCommerce alternative. Try the new advanced platform right now and be one step closer to your dream online store.